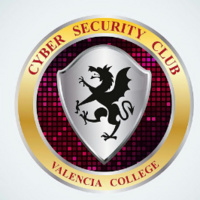 On behalf of the Valencia Cyber Security Club, Welcome! At the club, our focus is on learning techniques to ethically hack and defend computer networks through the use of virtual machines accessed via a CyberStadium. We use those techniques to compete in individual and team competitions, such as the NCL (National Cyber League) and the SECCDC (South East Collegiate Cyber Defense Competition). In addition, we give back to the community by volunteering at on and off campus events. The club is open to all students, no matter what your field of study, so bring your friends and let’s get hacking! Thanks for your interest in the club and we look forward to seeing you at our next meeting!